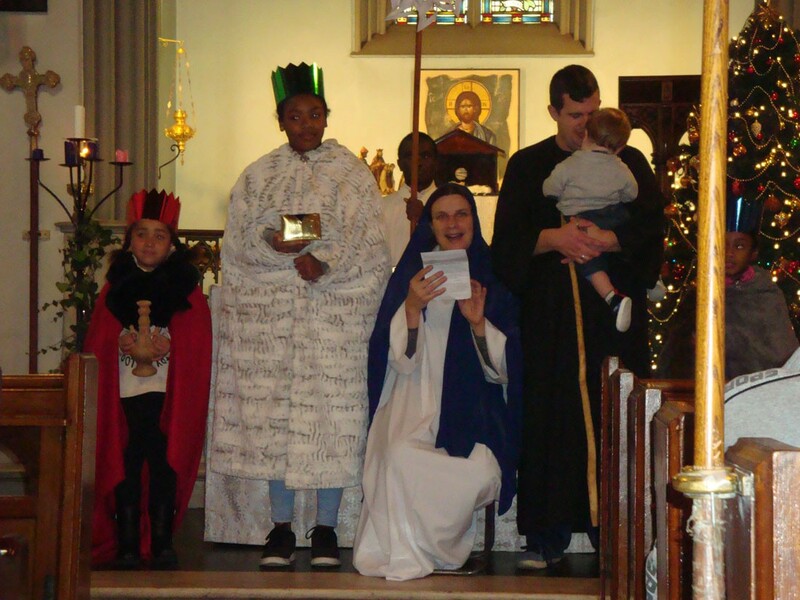 The Christmas Season at St Paul’s concluded with the feast of the Epiphany when the Three Kings came from afar following the Star to the stable in Nazareth where Jesus was born. This year, a real-life Mary and Joseph, together with their infant son, were present on the alter as the Three Kings came to worship. On the rear alter stood the wooden Crib that had been found in the depths of our store room and our beautifully decorated Christmas Tree completed the scene making the Church look very festive over Christmas.